Craig Edwards was the man behind the scenes for our weather in Minnesota and the rest of the Upper Midwest. As the Twin Cities area chief meteorologist for the National Weather Service, the St. Hubert, Chanhassen parishioner recently finished a 34-year career warning people about storms, tornadoes, blizzards — you name it. 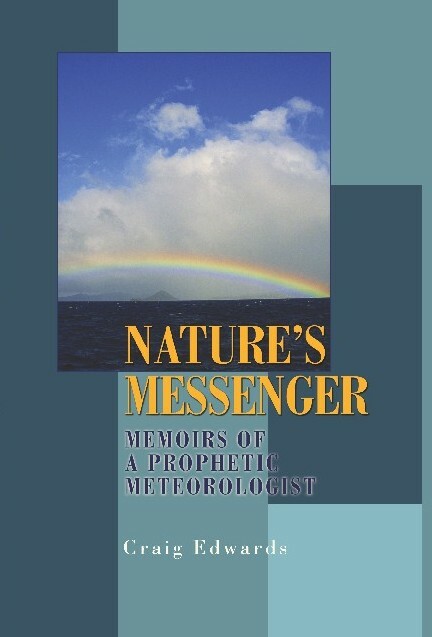 It’s from that experience of watching the weather patterns and witnessing scientifically the dramatically visible changes we see and feel that Edwards moves from telling his life story to almost a self-appointed role as prophet about climate change and global warming. Edwards, who upon retirement from the weather bureau in 2007 took a job in the weather department for Minnesota Public Radio, religiously — pun intended — writes about his Catholic upbringing in Illinois and his fascination with the weather from an early age. Readers of a certain age are going to see parallels with their own youthful years, I’m sure, and I didn’t find much of that part of “Nature’s Messenger” compelling reading. But when you get to page 56 of this paperback, that’s where the good stuff starts. Edwards takes readers on a lengthy behind-the-scenes tour of operations at several Weather Service locations around the Midwest, into the personnel issues, how and why the government got behind commercial television stations in working with new technologies like Doppler radar. If you’re old enough you’ll be able to relive some of the major weather events of the past 34 years, including record snowstorms, tornadoes and of course the Red River Valley floods. Edwards calls the central part of North America “the world’s greatest playground for the forces of nature,” and thus a prime spot for weather people to work in. All along the way in this life story of a man with an interesting job he works in what’s going on with his family life and especially his faith life, including his finding blessing in Eucharistic Adoration and teaching in his parish confirmation program. There’s a good bit of preachiness here about the importance of striving for excellence in one’s career without having to be pushed by outside forces, but Edwards doesn’t over-do it. His writing style like his leadership style is more of collaborating, mentoring and preaching with his actions. But when he starts laying out his thoughts about climate change, Edwards preaches a tough-love homily. “The planet is more vulnerable than ever before,” he claims, and we humans have brought it on ourselves. He sees the evidence of global warming as disrespecting God’s creation, and he drives home with paragraph after paragraph of evidence the fact that we ignore all the warnings at our peril.